Free VPN providers are rubbish. I’ll be honest. Sure, they cost nothing which is great but apart from that, they’re really not the best. Most of us don’t want to pay for services when we can get them for free and that extends to VPN services which means there are thousands, if not millions of users all cramming themselves onto Free VPN networks. The result is usually rather slow access. They also don’t protect your privacy but I’ll cover this later in the article. However, if you must sign up to a free VPN service then read on as we round up the Best VPN services for free, the ones that won’t cost you a penny, the ones that will make you feel all warm and gooey inside because you haven’t parted with any cash at all. Onward you thrifty VPN seeker! If you’re looking for a free VPN service then there is really only one choice. TunnelBear. They’re one of the biggest free VPN providers available and you get exactly the same access as you would if you paid for their service. The only limitation is they give you 500mb of data transfer each and every month and it doesn’t cost you anything. Sure, 500mb isn’t very much at all and you’ll be really restricted to what you can do with that small limit but if you like the service then you can always upgrade to one of their low priced paid-for accounts. TunnelBear is based in Canada which isn’t the best location if you’re after a privacy service, although if you only want to access geo-restricted content then they’re definitely worth considering. VyprVPN launched a completely free service offering 500mb each and every month. They quickly stopped this when they realised they can’t offer a good enough service when the user is paying no money – my words, not theirs. Running a fast and reliable VPN service costs a lot of money and if you don’t have users paying for it then you need to make money other ways and VyprVPN didn’t want to start selling user data like a lot of “Free” services do. However, even though you can’t get a never ending account you can get a whole month with 1GB of data absolutely free. After the month is up you’ll either have to sign up for one of their paid-for plans (which really is quite good – check out our 2017 review) or move onto the next free VPN provider. A full 3-day trial is available from NordVPN that gives you access to their entire service. Sure you only get 72 hours of usage but there are no restrictions and it’s as if you’re using the full service. NordVPN don’t make any big announcement that this trial even exists so you’ll have to get in touch with their support team to request a trial but once you’ve got it there is no difference than a paying customer. 3 days isn’t nearly enough time for a VPN service and if protecting your privacy is key then you’re going to need something a bit more ongoing. After the three days is up you’ll need to move onto the next free service or sign up to their full package. You can save 30% off their standard price using our exclusive coupon code: vpncomp17 and clicking the orange activation link below. VPN.ac don’t offer an actual “free” no cost service but they do offer a very cheap service that might just be suitable for your needs. For just $2 you can get an entire week service on this fast and privacy-focused VPN service. You will only be able to connect 3 devices at the same time as opposed to 6 on their full priced package but apart from that, there are no other limitations. After the 7-days is up it will be time to move onto another provider but their actual paid-for service isn’t all that expensive and the privacy features they offer make this service attractive so you may find you want to start subscribing. CactusVPN offers one of the shortest free trials out of all the providers listed here. A 24-hour completely free trial is available but while it is the shortest you also aren’t required to enter any payment details. This is great for your privacy and also great that you don’t have to remember to cancel. There are no restrictions on the free trial which means you can take advantage of the whole service without paying. While 24 hours certainly isn’t enough time to use any VPN service if you only have one or two needs then they could well be suitable for you. If you need a bit longer you can always sign up for their reasonably priced full service. We really don’t recommend “Free” VPN services which is why we’ve attempted to round-up the best selection of free trials and reputable free services above. 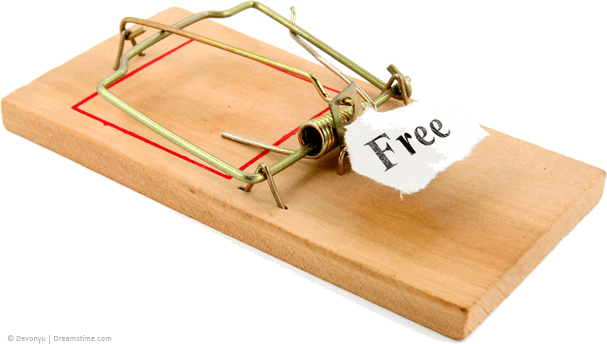 Completely free unlimited services should be avoided and below you can see some of the reasons why. If you can get something for free then why pay for it? Sure it’s sensible thinking but it’s also the thinking of thousands if not millions of other people so it means the VPN network will be overcrowded. This will result in slow speeds leading to slow downloads or web pages that take forever to open. You can forget streaming video, bypassing geo-restrictions for TV services or any other high intensity task. 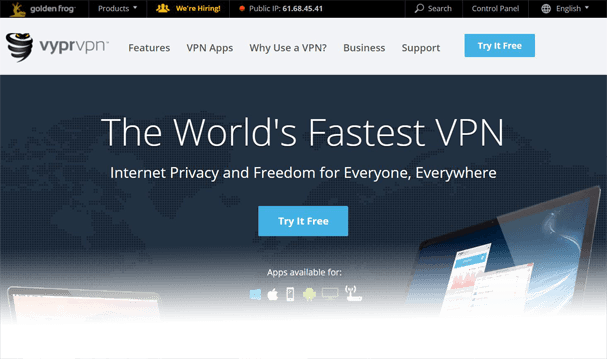 Unlike the selection of VPN services listed above completely free unlimited VPN services sell your personal data. Running a VPN service is expensive, from owning servers to network infrastructure, this all costs money. If a VPN service is not charging you money then they are making money using another method. By logging your usage habits a free VPN service can sell this important information to third party companies interested in your usage data. This means your privacy is not intact and defeats the purpose of a VPN service in the first place, just look at the Hola debacle back in 2015. At the start of 2017 security researchers discovered that many of the most popular VPN apps on the Google Play Store for Android devices actually contained harmful features. This included security vulnerabilities, tactics to redirect you to different content other than the one you intended, injecting adverts into your session and a whole host of other nasty surprises. If you’ve finally seen sense then it’s honestly worth spending just a few dollars or pounds per month and getting a paid-for VPN service. You can make some great savings by signing up for a full 12-months which in many cases can save 50% off the standard monthly price. 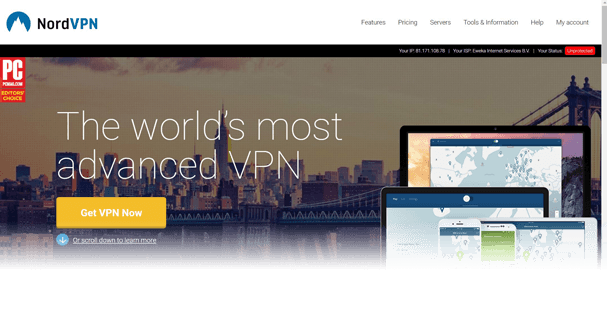 A good place to start is our Best VPN for 2017 guide which lists the best VPN services for a variety of reasons all at prices that won’t break the bank.